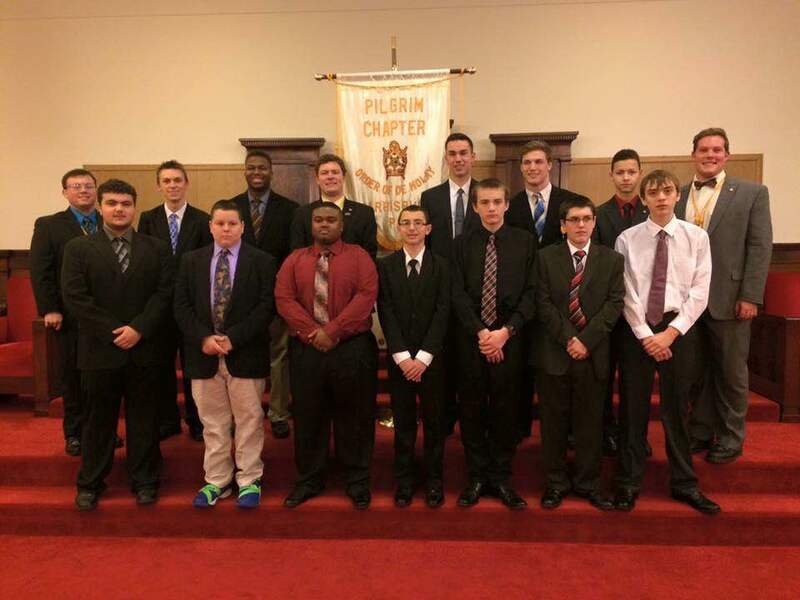 On Sunday, January 10th, Pilgrim Chapter kicked off its 91st year with an Installation of Officers for the spring term. This installation was special in that it was conducted by an installation team made up of all current and past Pilgrims. Tyler Moyer (PMC-MSA) led from the East, while David Kopp (PMC), Ryan Daub (PMC), and Christian Bogans (PMC) assisted as Installing Junior Councilor, Senior Deacon, and Marshall, respectively. “Dads” Thomas Moyer (PSMC) and Joseph Chub (PMC-MSA) served as Senior Councilor and Chaplain, respectively. In total, nine officers were installed with Brother Sean Reitze continuing his role in the East, while Brother Ray Benoist joined the ranks as Junior Councilor. After recently inducting four new members in the month of the December, the chapter received two more applications for membership during the installation. 2016 appears to be off to a great start, and the whole chapter is ready to rock. This article was written by “Dad” W. Thomas Moyer of Pilgrim Chapter.